Whether you’re running a restaurant or a food truck, it is important you find a niche. 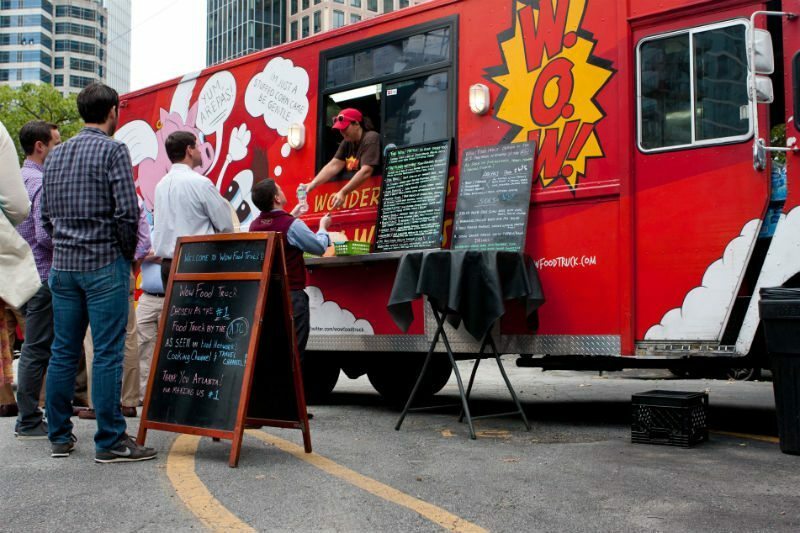 Getting your food truck noticed may be challenging, but it can also be quite rewarding. The presentation, design, and menu are all going to come into play when it comes to driving product sales and attracting new customers. For example, you could have your sauce. This will be challenging since you will need to put in time and focus on the branding of something you aren’t experienced with. It’s going to be difficult for sure. You could consider hiring a firm which offers branding and marketing services. There is a huge upside to this. It will set you apart from the competition in a unique and memorable way. It’s also quite classy to have branded products of your own. Invest in high-impact vehicle wraps and graphics. They are an essential ingredient in mobile marketing. You could also consider outfitting the trucks with speakers and digital displays. This will be judicious for both regional as well as local promotions and marketing. Wherever your food trucks go, they will be advertising your brand. If you’re a foodie or if you use social media in order to promote your food truck, then you will already know how important it is to have high quality photos for the visual appeal on your food truck wrap, website, social media, and posters. It is always better to hire a professional to help ensure you get the perfect photo. Your name should be able to describe your business to your customers in the right sense. It is vital that you are able to convey what you do, who you are and what you serve through your name. But not every name is going to work well for you. For example, “The Dump Truck” is not an ideal name for a food truck, even if you are selling dumplings. You need to train your employees properly. This should be your first priority. It’s the first 5 seconds of interaction with every customer that is going to make or break each sale. Leaving a bad impression is not the way to go. It may even result in people bad mouthing your business to others. You need to train your staff to be kind and smile at all times. Ensure your truck is attractive. It’s counterproductive for you to spend all of your money on a fully equipped, brand new food truck if it’s just standard and dull. It’s not just about the wrap or graphics. You need to get really creative with the entire look of your truck. The outer appearance needs to be as attractive as the food you plan on offering and selling to the public and to stores and so on. You need to make plans so you can reach out to your food loving fans. Improve your reach through social media by using various mobile marketing solutions like text messages and mobile websites. If your website hasn’t been optimized for mobile use, you may be missing out on a lot of customers who may want to visit your food truck. Inviting your regular customers to take part in loyalty programs is a sagacious way to encourage customers to visit your food truck more often. There are a number of popular apps available that you can use to launch these loyalty programs. You should consider printed material like window graphics, fliers, and brochures. High quality signs and graphics not only help put your message through, but if you are innovative enough, you can also create a long lasting sparkling impression on your customers.